Do you have a goal or event in mind? Not sure how to train for it? Don't guess. Let us help. From recreational to representative athletes, you can benefit from our knowledge and careful planning. As certified coaches and with multiple qualifications in sports science, The Distance Coaching has the experience and educational expertise to develop your athletic potential, or to just get you up and moving towards your first goals. With a passion for anatomy and the physiology of exercise, our head coach is an accomplished age group Marathon and Cross Country runner, 6x Ironman finisher and 3x World Championship representative. 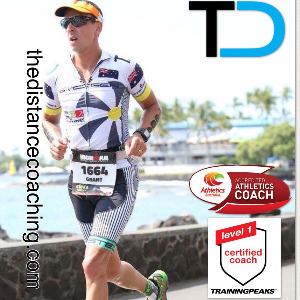 He is an accredited Lvl 2 Advanced Athletics Australia running coach, former Athletics Australia course facilitator, Training Peaks coach and holds a B.App.Sci. (Human Movement) and Post Grad.Dip. (Exercise Science). As part of his studies, Grant spent extended periods of time at the Victorian Institute of Sport and Cricket Victoria, and later spent several years in the AFL industry as a high performance conditioning coach. With over twenty years of competitive endurance sport, Grant is passionate about applying his broad knowledge to the educational and physical development of athletes. Grant prides himself on his tailored and thoughtful approach to running program design. Success. Coach Grant Hornsby - B.App.Sci (Human Movement), Grad.Dip (Exercise Sci) has been notified of your message.